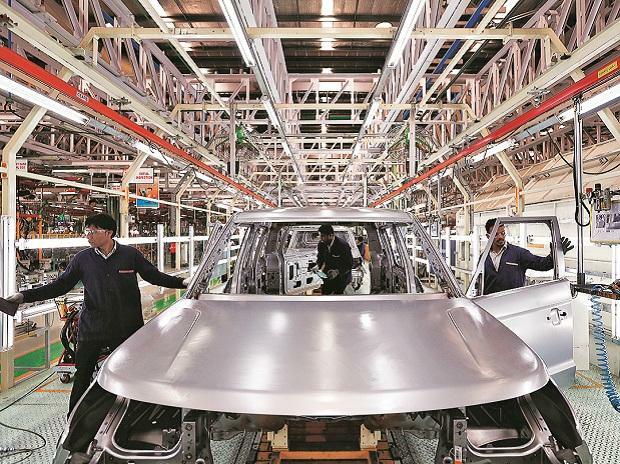 Automobile manufacturer Mahindra and Mahindra (M&M), which has been ceding ground to rival Maruti Suzuki in utility vehicles (UV) sales, made a comeback in the March quarter on the back of strong sales of the Bolero, Scorpio, KUV 1OO and TUV 300. M&M sold more utility vehicles than Maruti Suzuki in the three-month period. M&M sold 67,805 units in the quarter, while Maruti sold 63,691. Maruti could have sold more but for the capacity constraints. The company has a backlog of 42,000 units for the Brezza and S-Cross models, said company’s spokesperson. In 2017-18, Maruti zipped past Mahindra. During the year, Maruti sold 253,000 UVs, an increase of 29.6 per cent over the previous year. Mahindra sold 233,000 units, a 5 per cent increase over 2016-17. Rajan Wadhera, president of the automotive sector at Mahindra, said, “The Bolero Power+ and the new Scorpio saw demand growing in 2017-18, while product and marketing interventions have brought increased traction for the TUV300 and the KUV100 NXT.” He said the firm’s reach had increased in rural and upcountry markets. This boosted sales from the region by 12 per cent in the quarter over the year-ago period. The company’s focus on digital has led to an 8 per cent sales contribution, for key UV brands, coming through online. While Mahindra has managed to keep the sales momentum going, its market share has been under consistent pressure with Maruti Suzuki expanding at a faster pace. In the first 11 months of 2017-18, Maruti cornered 27.82 per cent sales as against 25.21 per cent of Mahindra’s. In a bid to recoup lost ground, Mahindra plans to launch three models in the utility vehicle segment in 2018-19. These are the S201, a multi-purpose vehicle codenamed U321, and the G4 Rexton. UVs account for a 28 per cent share in the passenger vehicle market.